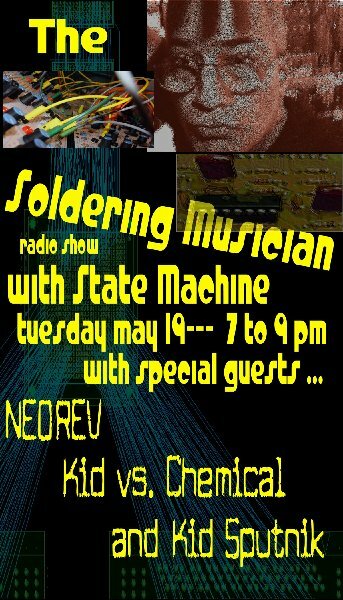 "The Soldering Musician with State Machine", a new Bi-Weekly Radio Show Every first and third Tuesday of each month from 6 to 8 PM EST, 23:00 to 1:00 GMT .. to be broadcast LIVE on electro-music streaming radio from my project studio here in LI, New York. Do you build circuits that synthesize sound in hardware/code? Do you bend or modify existing circuits, or play chip music on your Gameboy – Commodore 64/128 – Atari 2600 or a neat breadboard with that vintage analog or digital chip? Do you design or build your own electronic instruments or controllers? 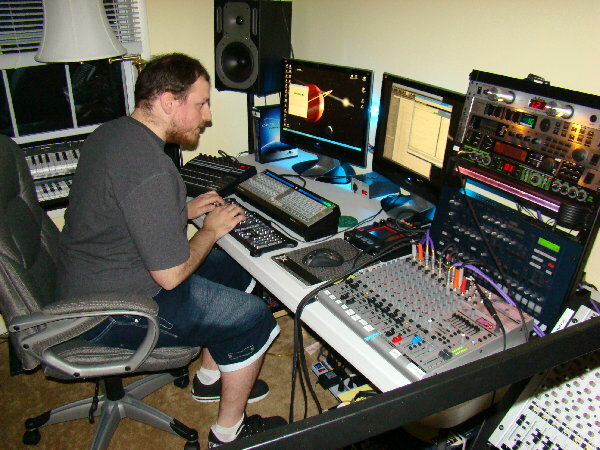 Do you just like to produce your own electronic music with any type of gear? Well, if you answer yes to any of these questions, please do record your music and submit it to the show producer (me), I will play it .......... anything goes! The show is dedicated to the “Soldering Musician” and showcases the music of our modern day ‘do it yourself’ or DIY electronic music makers. Let your hard work be heard. Want to send me your CD instead ? (Better if you have lots of material) Then please send me a private mail and I will send you my shipping address where to send your disk. Have a website where I can download your music? Send me the link, I will go and get it. For announcement purposes, it;s best to include a description of your music, your name (also spelled phonetically if it’s a tough one to pronounce) the name of the song(s), what you used to create it and where you’re from. I want to announce it. Any other interesting points I should know about? Send that along as well. I want to credit YOU. can’t go on without you. Oh, yes, by the way, I will throw in a tune of mine here and there to …..
Hey Bill, perhaps you should have called the show, "The Smoldering Musician"? Whatever happens, it looks like it will sound great. 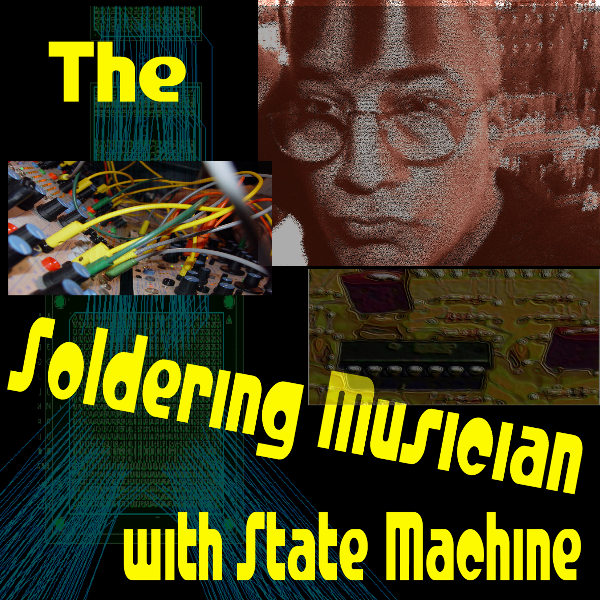 The first installment of “The Soldering Musician” The show is packed with two hours of great music. That was a great show, Bill. Looking forward to the next one! Oh thanks Paul. I appreciate all the positive feedback. I had a blast. Robin was bringing in glasses of wine for me and stared to get really "buzzed" to. I had the amplifiers turned way up in the studio to. Yes, it was a great show. I really enjoyed it. Yeah your show was sweet Tuesday Bill! Really enjoyed all the music you played. Thanks guys ... Really had a blast doing it. I have some good shows lined up so I hope everyone "tunes" in .... Your a great bunch to hang out with ! Bill by any chance do you have an archive of the audio? WOuld someone recommend a program for XP that can record audio such as this- at specific dates/times? FTTB the archives will be here : http://bluehell.electro-music.com/_streams/2009-03-02/ - url will change in the future likely once I finished the page generation work on it. Lets celebrate electronic music and the SOLDERING MUSICIAN !!! Your show Host, Bill Manganaro aka "State Machine"
Great Show last night Bill! The following acts "plug in" and do their thing !!!! 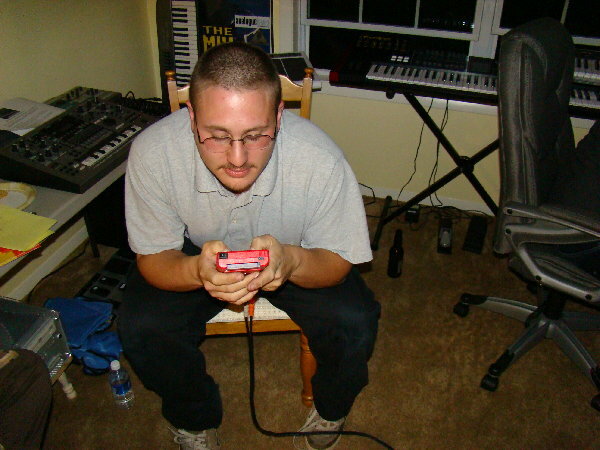 Kid vs. Chemical: Circuit bending noise 8-bit rap confusion, Gameboy Chip Music. This show is two plus hours of solid electronic music mayhem !! 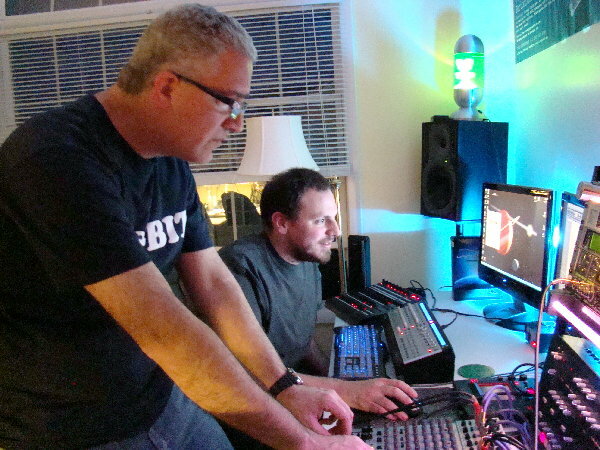 Bill Manganaro aka "State Machine"
and your host of "The Soldering Music Show"
Just wanted to stop by and say thanks to those who tuned in for the show last night. Bill was an amazing host. His studio is insane. Matt and Dan were like little children on Christmas morning. We really enjoyed ourselves. It was totally laid back and comfortable. 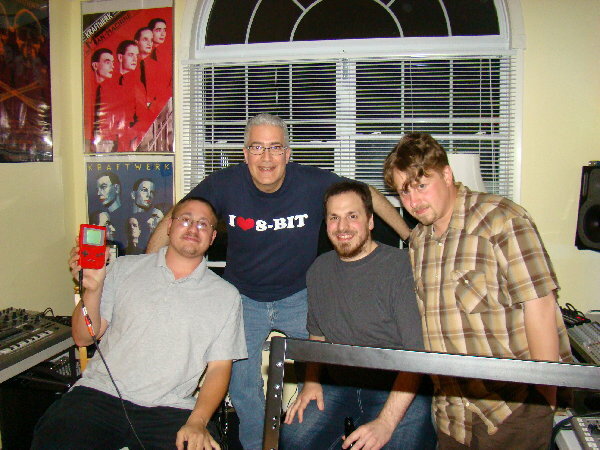 Just four guys sharing the love of music with beer, chips, and cheese. The feedback in the chatroom was amazing. I hope you all enjoyed the show. Thank you once again and thank you Bill for inviting us on and giving us a chance to show what we do. We would love to come on the show back one day. It was a blast! The details of the event at Mulcahy's in Centereach, New York featuring Kid Sputnik, Kid Versus Chemical, State Machine, and myself will be finalized this Saturday. Will keep you all posted on the dates. NEOREV, your music is awesome! I listened with interest This will not be the last show, I hope, I want to see you on Bill's show again. Ill tune in for the ending later on. Great show ! i also sent in my application for Electro Music 2009, wouldn't mind rocking out live in NJ in October. hope i'm considered. i've been trying to convince Matt and Dan to enter as well. they're always so nervous about doing shows. I agree with Mike, we had a blast !!! Mike, I do hope to see you there at EM09 to !! Yes, we will have to get Dan and Matt down there to !! I want to thank Mike, Dan and Matt very much for coming down to my studio and delivering the musical goods !! Hope to do this more ! !